Andrew Wooden is an Associate in the Insurance/Reinsurance Industry Group, with a focus on reinsurance and insurance coverage disputes. Andrew has experience in reinsurance litigation and arbitration in an array of matters including the representation of both reinsurers and cedents in disputes relating to pre-hearing security, loss allocation, number of occurrences, bad faith, contract formation and interpretation, and follow the fortunes doctrine. Andrew also has experience with insurance coverage matters relating to disputes arising from asbestos, talc, benzene and marine losses. 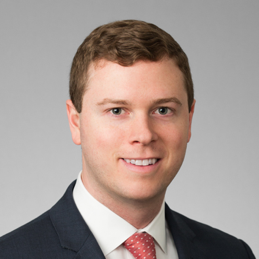 Andrew is originally from North Carolina and received his Bachelor of Science in Business Administration from The University of North Carolina at Wilmington before receiving his Juris Doctor from Brooklyn Law School in Brooklyn, New York.